I love a good Chicken dish. I am not the most adventures eater out there so I like the classics. 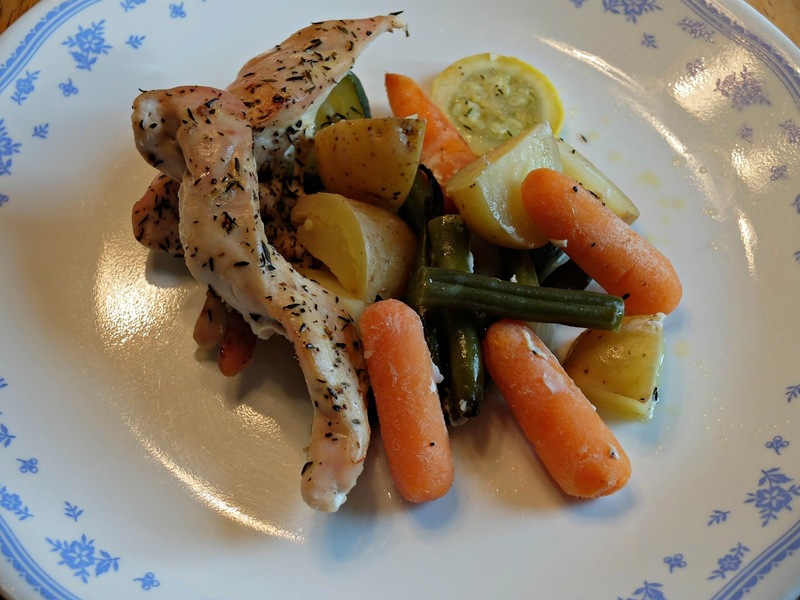 And what is more classic and tastier than a roast chicken? Using Chicken breast instead of a whole chicken cuts down on prep and cook time. You can use any vegetables you have on hand. Whichever veggies are currently in season. I make this dish year round I just always change up the ingredients. In a 10 x 12 inch pan add oil and pepper to bottom of pan. 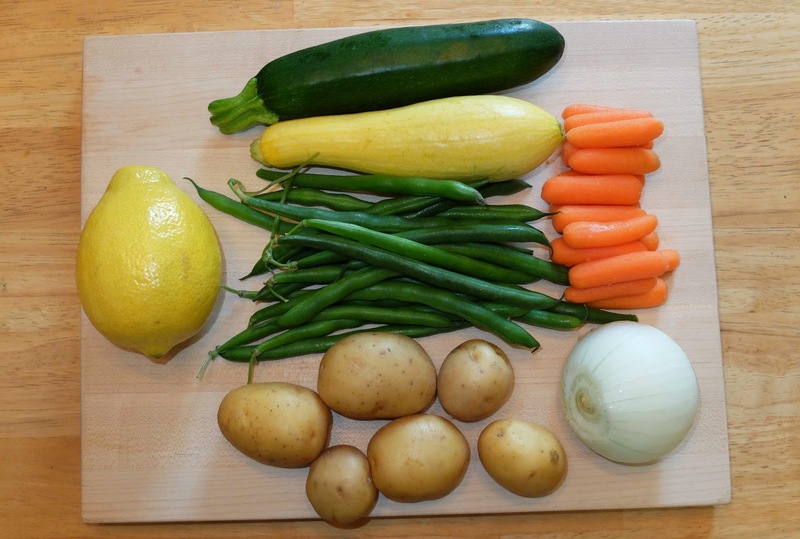 Cut potatoes, Green Beans, Carrots, Zucchini, Yellow Squash, and Onion. Arrange in pan. Take chicken breasts out of package and cut into 2 inch strips. And place on top of vegetables. Squeeze one lemon atop chicken, sprinkle fresh or dried thyme atop chicken and lightly salt. Add about a half cup water to bottom of the pan and cover top with aluminum foil. 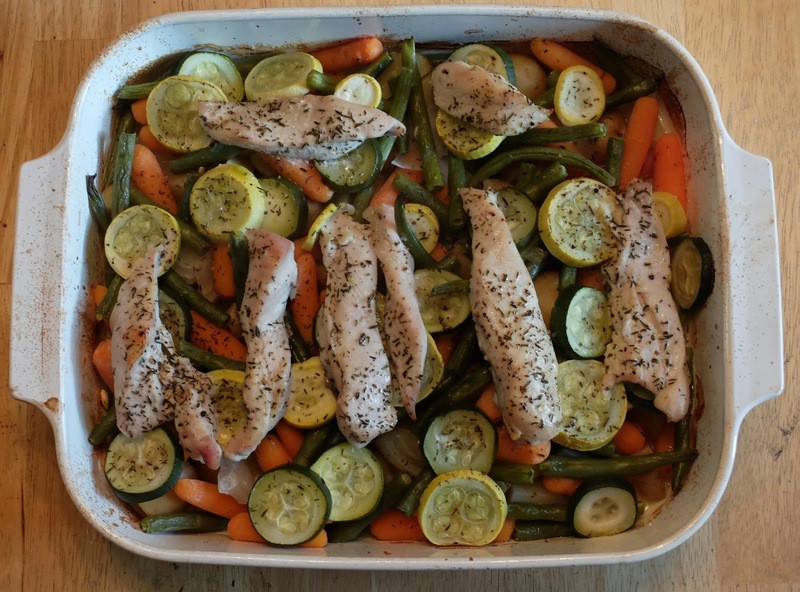 Take aluminum foil off 15-20 minutes before taking out of oven to lightly brown the chicken. You can but don't have to add a light amount of butter to chicken breasts to help them brown. What's your favorite classic chicken dish? Disclaimer: All content was created by TheChicCountryGirl, Any posted photos are ©Copyrighted by ©TheChicCountryGirl.blogspot.com please give credit when sharing or before using.